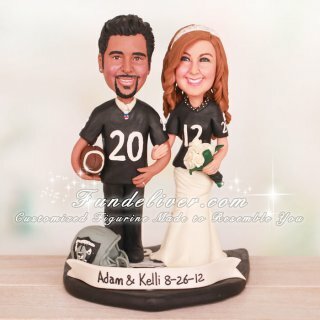 This is a completely customized Oakland Raiders football wedding cake topper ordered by one of our customers. 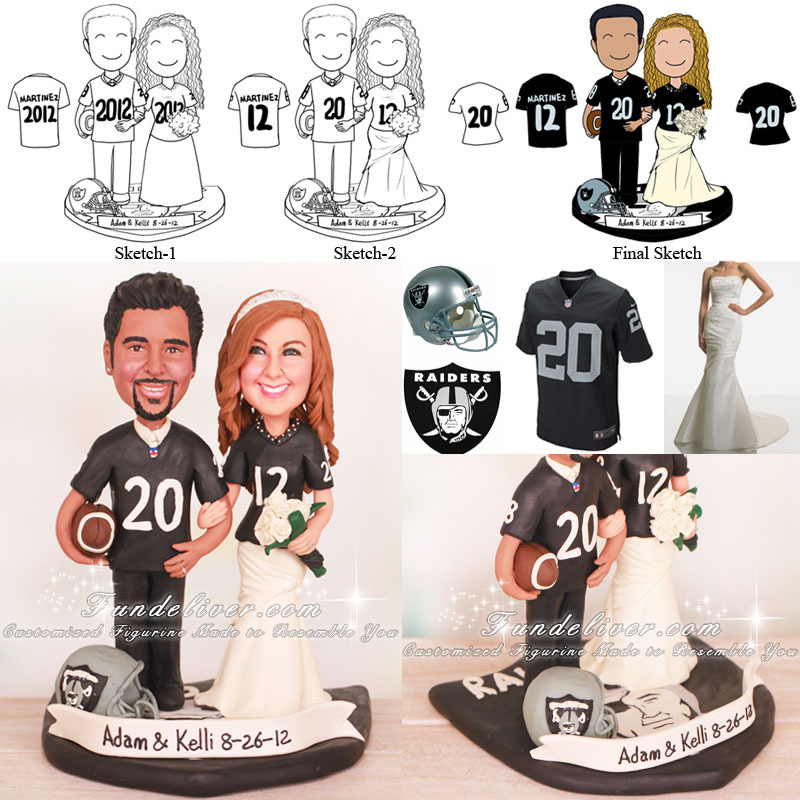 They would like a couple figurines to be standing on the Oakland Raider shield with both bride and groom in Raider Nike jersey. For the number, they would like it to read #20/#12 when looking at it from the front and back. The Groom is holding a football with the Raiders helmet by his feet, the bride is holding a bouquet of white flowers. A name plate is across the front that reads "Adam & Kelli 08-26-12".